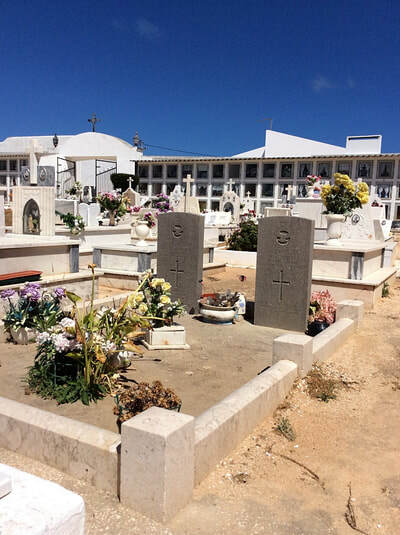 Sagres is on the southern coast of Portugal, and Sagres Cemetery is in a drive off the Lagos-Sagres road. 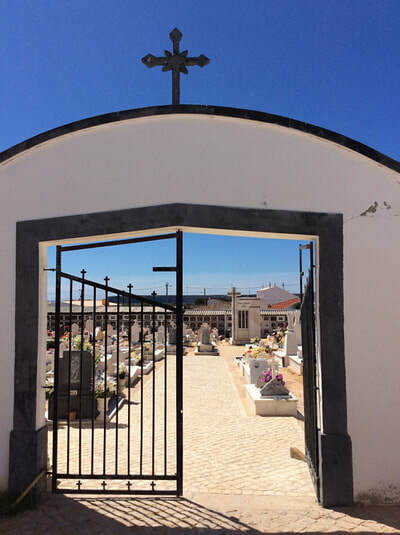 On entering the town of Sagres you pass a sign "Vila de Sagres", and about 1.5 kilometres further on there is a 'Galp' petrol station on the left, right under a water tower. Travel a further 20 metres and on the right, just before a restaurant and roundabout, is an unmarked drive which leads to the cemetery. The Commonwealth graves will be found on the left-hand side of the cemetery, about half way down. 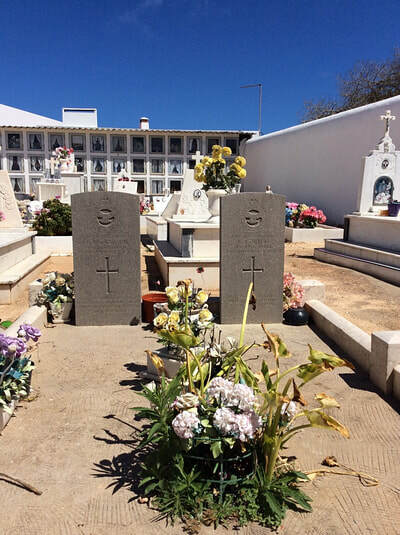 Cemetery address: Rua Infante Dom Henrique - 8650 Sagres (Algarve). Sarges Cemetery contains the graves of two airmen of the Royal Air Force who belonged to the crew of a Catalina aircraft which crashed off Sagres on 23 March 1943. 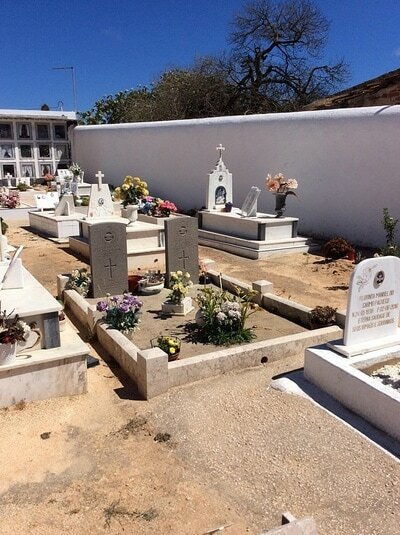 The other bodies were not recovered. 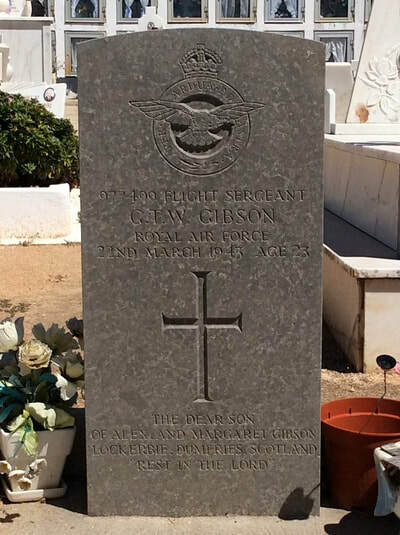 977499 Flight Sergeant George Tod Wright Gibson, 210 Squadron, Royal Air Force Volunteer Reserve, died 22nd March 1943, aged 23. Son of Alexander and Margaret Gibson, of Lockerbie, Dumfries-shire. 1495406 Sergeant Gilbert Joseph Orton, 210 Squadron, Royal Air Force Volunteer Reserve, died 22nd March 1943, aged 21. 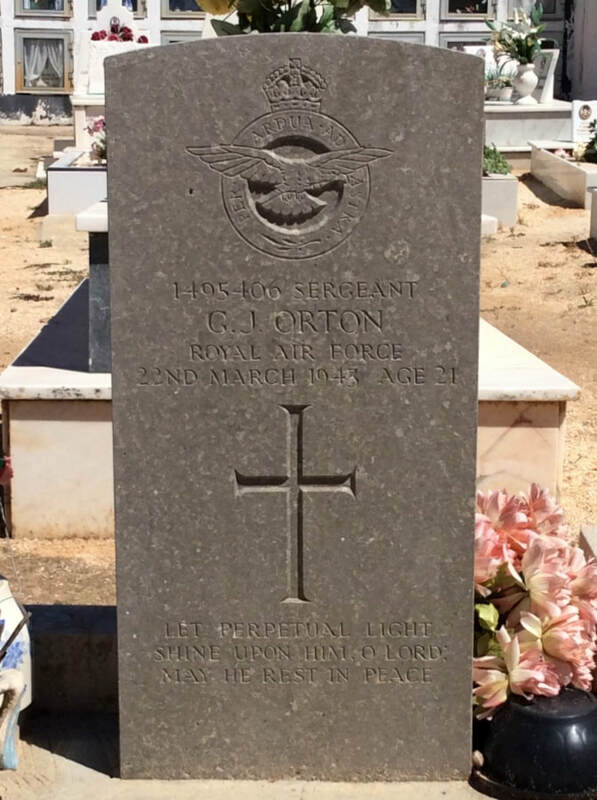 Son of Albert Henry and Germaine Orton, of Ward End, Birmingham.